Already in 2008, a long time before the Burger hype became a big part of gastron-omy, “Die Burgermacher” Vienna’s first specialised burger restaurant opened its doors. 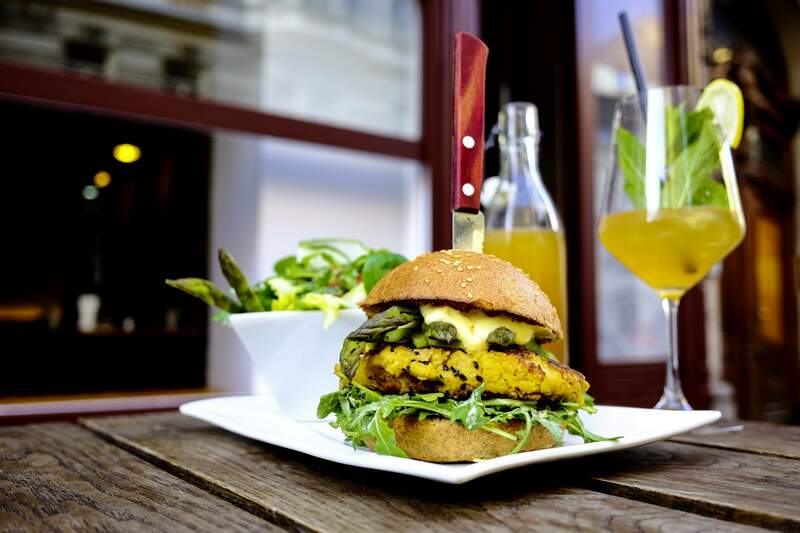 Even though almost every restaurant has its own burgers on their menu card, we were able to distinguish ourselves from the crowd with high-quality organic ingre-dients, homemade sauces as well as a great variety of creative recipes. Our young team tinkers monthly with great motivation on new seasonally adapted special burgers and also self-made drinks. Additionally, it is very important to us to create a familiar and comfortable atmosphere for our crew and especially for our dear guests. 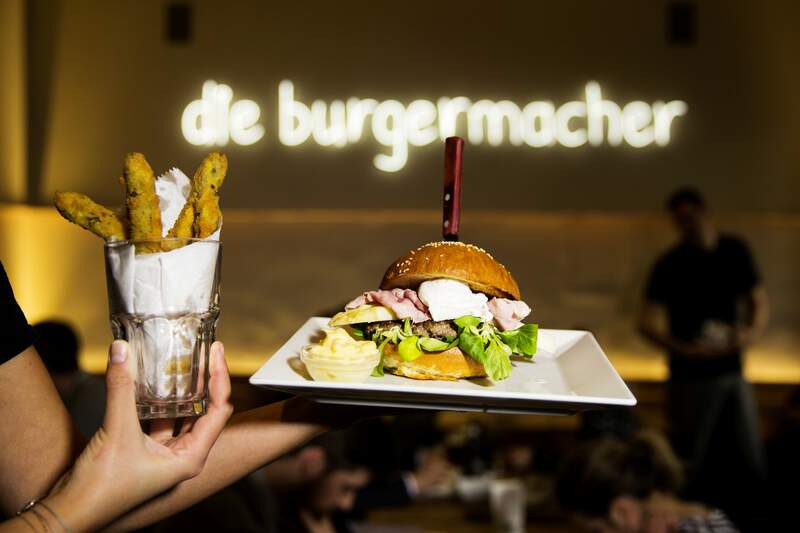 Everything that can be done by us is already made by “die Burgermacher”. Self-minced meat, ketchup prepared according to a specially developed recipe, home-made fries and freshly prepared mayonnaise with extra virgin olive oil grant our burgers the personal touch. We receive our ingredients from selected suppliers with the highest standards of quality. 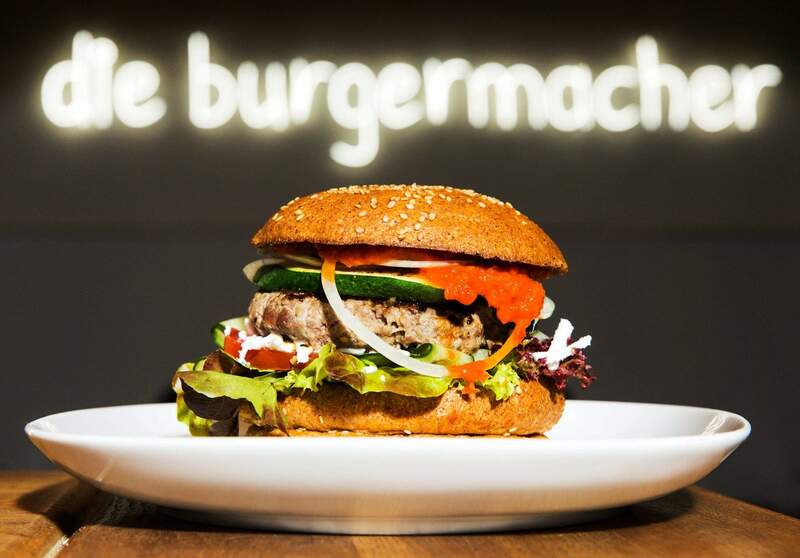 The burger-bun is baked according to a traditional recipe from the organic bakery Schrott, the organic meat comes from small farms. The fact that burgers don’t always have to contain meat to taste special is proven by our vegetarian alternatives. Chickpeas, buckwheat, couscous, quinoa, cheese, nuts or tofu, combined with local as well as exotic spices, provide plenty of opportunities for our monthly changing vegetarian burgers. Generell findet man auf unserer Speisekarte stetig Neuerungen. Wir legen großen Wert auf die Saisonalität unserer Produkte. Diese spiegelt sich auch, aber nicht nur in unseren kreativen Burgerkreationen wieder. Neben den traditionellen, stets per Hand geschnittenen Pommes gibt es wechselnde Spezialbeilagen für unsere Burger. Gegrillte Maiskolben mit hausgemachter Kräuterbutter, verschiedenste Beilagensalate, Coleslaw und blaue oder rote Pommes Frites werden nach saisonaler Verfügbarkeit und immer frisch für unsere Gäste zubereitet. Natürlich darf nach einem Burger ein süßes Dessert nicht fehlen. Deshalb haben wir mit selbst gebackenem Cheesecake und saisonalen Dessert-Specials auch stets köstliche Leckereien für Naschkatzen auf der Karte. Mindestens 25 verschiedene und ständig wechselnde Biersorten aus aller Welt findet man im beliebten Selbstbedienungskühlschrank. Natürlich stehen auch offene Weine zur Auswahl. Antialkoholisch servieren wir erfrischende, selbstgemachte Eistees und täglich wechselnde Haus-Limos, für die wir auch gerne mal in Omas Garten Früchte sammeln. Nach dem Essen darf es dann zum Abschluss auch gerne auch ein selbstgebrauter Bierlikör sein. Additional, to the opportunity to enjoy our burgers in our restaurant in the Burggasse, it is also possible to take them home with you in our take-away-boxes. It is also a great feeling to sit down and have a meal in our cosy Schanigarten which we built in front of our restaurant. Furthermore you can now make use of our event catering offer. You can book it and enjoy our unique burgers in the usual quality freshly prepared at your location. We are happy to receive your inquiries via info@dieburgermacher.at . Bitte beachtet dass der Tisch bei Online Reservierungen für 1.30h reserviert wird. Wollt ihr gerne länger sitzen oder für mehr als 5 Personen reservieren, dann bitten wir um telefonische Kontaktaufnahme unter 069911589599. Unfortunately, we only have 30 seats and therefore we kindly ask you to make a res-ervation in good time. 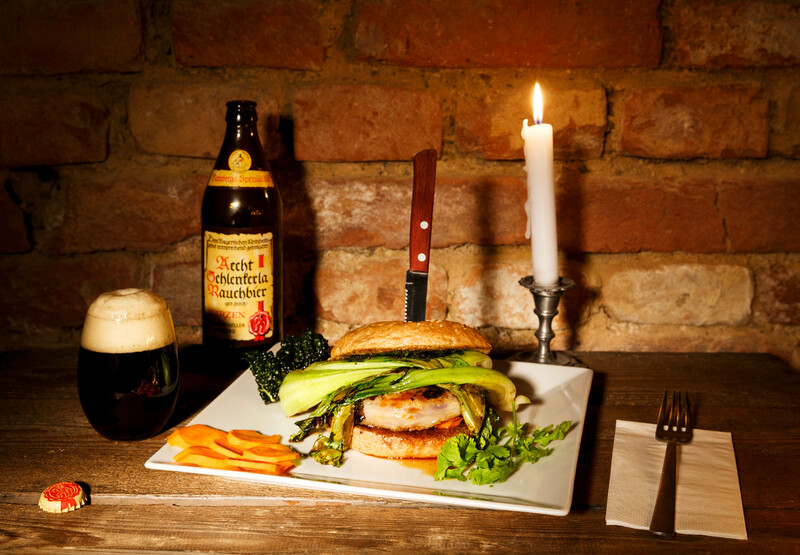 You can make your reservation by phone or by E-Mail to info@dieburgermacher.at. But our burgers are not just “on reservation”, we always keep a few places free to spontane-ously pass by. Unfortunately we cannot accept reservations via voicemail, Facebook or SMS for organizational reasons.